Featuring traditional touches such as nailhead trim and demi-wings, this chair also has contemporary curving lines and suits a variety of styles. Classic nailhead trim decorates slightly flared arms and extends along the seam all the way to the top of the chair. Square tapering feet complete the sophisticated look. 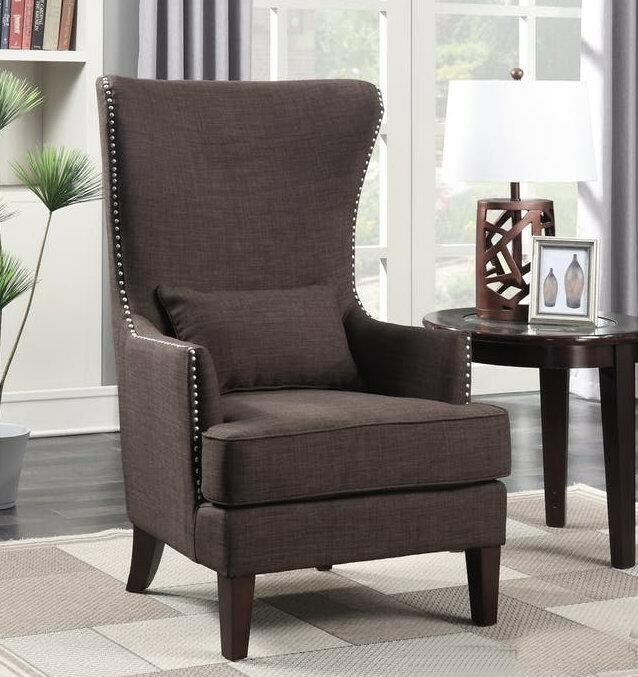 Available in a variety of colors, this chair makes for a stylish accent in any home. The Kori Upholstered Demi-Wing Chair by Elements International at Miskelly Furniture in the Jackson, Pearl, Madison, Ridgeland, Flowood Mississippi area. Product availability may vary. Contact us for the most current availability on this product.